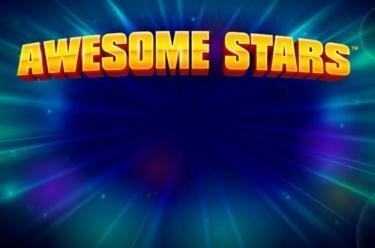 Play Awesome Stars™ online for free now! Awesome Stars™ is a classic fruit slot with 5 reels and 5 pay lines. Apart from a futuristic fruit mix the silver stars (Scatter that turn into Wild symbols as soon as at least three of them land in a spin) will serve you. Furthermore, you may crack three jackpots - maxi, midi and mini. To the Twists, get set, go! The aim with Awesome Stars™ is to land 5 identical winning symbols on one or several of five pay lines. All winning patterns are made up of identical symbols landing side by side on a line. Scatter symbols trigger a win, regardless of the line profile. What is essential for a proper fruit slot? That's right! Scatter symbols and Wild symbols! With Awesome Stars™ the silver star performs both roles. Since the silver star is a Scatter symbol it pays in any position regardless of the profile of the pay lines. When at least three silver stars land they turn into Wild symbols that can complete or improve any winning combo. Another bonus symbol makesAwesome Stars™ what it is - a slot with tremendous jackpot power! With 3, 4 or 5 jackpot stars on a line during a spin you win either the mini, midi or maxi jackpot! These odds are simply awesome! 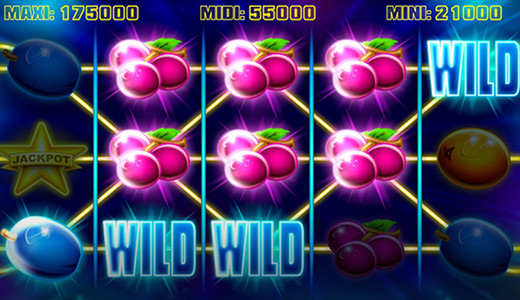 Futuristic fruits are romping about the reels of Awesome Stars™, a slot with three glittering jackpot opportunities! Line up the fruits in the right order and arrange them along the 5 pay lines. When 3, 4 or 5 jackpot stars land on a line during a spin one of the three jackpots - depending on the number of jackpot stars won - is yours! Absolutely awesome!